The Raisonance Integrated Development Environment (Ride7) is our full-featured software interface that provides users seamless integration and easy access to the complete range of Raisonance tools and features for writing, compiling and debugging application code from a single user interface. Ride7 is compatible with 32 and 64-bit versions of Windows 7, 8 and 10. 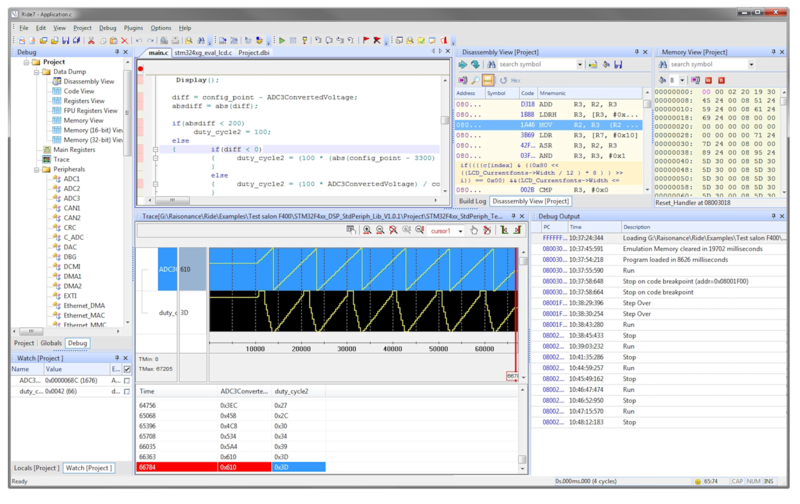 Ride7 is a free software tool that is available for Raisonance RKit C toolchains and RLink debugger/programmer.